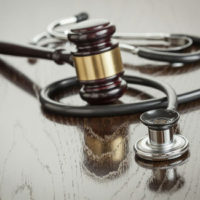 A Florida appeals court released two opinions last week that require presuit affidavits in medical malpractice cases be from a healthcare provider who specializes in the same field as the medical professional being sued. Both cases stemmed from botched surgery cases in Florida, where the victims in these cases filed presuit affidavits from a plastic surgeon, emergency room doctor, nurse, and radiologist. According to the appeals court, the victims in both cases failed to comply with the Florida Medical Malpractice Act. Under the Medical Malpractice Act, every case must start with a presuit investigation to resolve some claims before going to trial. Prior to 2013, the old law allowed for testimony during the presuit investigation from an expert witness to attest to the malpractice by someone in the same or similar specialty as the accused medical professional. However, after 2013 the law was amended to require that the expert witness in presuit investigations must be the same specialty as the accused doctor. In these new opinions, the appeals court clarified that the presuit expert witness in the same specialty is read literally. The expert witness cannot be a physician in a different specialty providing similar treatment to the same areas of the body. The expert must be listed with the same specialty as the defendant doctor. In the first case, Sandra Dale Essex sued her orthopedic surgeon, Dr. Michael Karr, after the surgeon fractured Essex’s femur during a hip replacement surgery. She submitted presuit affidavits from an emergency room physician, a radiologist, and a nurse for her medical malpractice case. The second case involved victim Chad Rhodes, who sued his orthopedic surgeon, Dr. Michael Riggenbach, for medical malpractice for a botched wrist surgery that led to additional surgical procedures and permanent injury. Rhodes presuit notice including expert witness testimony by a plastic surgeon and otolaryngologist who had performed the same procedure multiple times in the last three years. The appeals court in both cases affirmed that the expert witness testimonies in both cases did not meet the requirement of expert testimony from a medical professional in the same specialty of the medical professional defendant. The specificity of the appeals court ruling means that your medical malpractice case could be thrown out if your presuit notice does not meet the detailed requirements of the law. It is no longer enough to submit expert testimony from a medical professional that works on the same area of the body or that has even performed the same procedure if that expert is not the same specialty as the medical professional being sued for medical malpractice. An experienced medical malpractice attorney is needed to ensure that the strict requirements of medical malpractice cases in Florida are being met for your claims. If you have questions about your medical malpractice case in Florida, call or contact the experienced medical malpractice attorneys at Gary Roberts & Associates in West Palm Beach today.